No thanks to my lack of discipline and time to keep my accounting books in order, my entire financial system is in total mess. With more and more invoices, payments and receipts flying my way monthly, the accounting workflow I used last year can no longer help support the needs of my company and me. So the search for the right accounting system began. And after a week of research and trying I’ve finally decided. 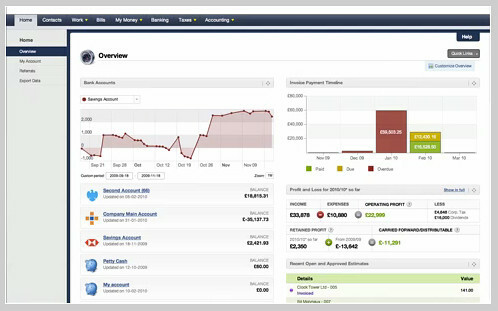 What I’m looking out for when trying the various accounting system? System UI and simplicity of workflow. Web-based so that I can access anywhere and not worry my MBP will die one day with all my accounts gone. Project management or costing feature. Easy creation and converting of quotations and proposals to invoices. Flexibility of templates for quotes, proposals and invoices. And of course, the cost. Here in this post, I’m sharing and giving a brief review of the accounting systems which I’ve evaluated and tested. This was the first system I tried. The 180-day trial was one big draw at first. But it took me more than an hour to set it up just so that I can see it working. Blame myself for spending so much time as I didn’t have proper trial balance from last year ready so I had to search through my books for each account’s numbers. The UI is clean but find it still very much accounting focus. The plus point for Xero is the ability to check accounts and balances from their iPhone app. It however didn’t have quite a few of my requirements. This I tried it concurrently with FreeAgent. Setting it up, trying it with the same steps and creating the same quotes and invoices etc. And I was almost convinced that this is the one for 24seven since @misseley is using it and recommended too. But it lacks the Project management portion and the template for quotes and invoices was less attractive when compared to FreeAgent’s template gallery. Their use of pop-up overlay when entering new transaction irritates me a little. Got to learn about FreeAgent from @andycroll and then @IntegreatMedia came into the picture with some assistance. This is by far closes to my list of requirements and has great templates for my quotes and invoices. Best part is that its charging a flat rate of USD20/month for unlimited users. AND they’ve got different tiers of user access level that’s great for me to create accounts for my team to enter their claims and for my accountant who can access it from home. Loves also how it allows linking of expenses and timeline to projects. This gives a whole new dimension on how I can better manage quotations and provide more cost effective services for my clients. I think they’ll love it. From the sound of it, you would have guessed which accounting system I’m going to subscribe to already don’t you? Well, since I’ve got 30-days to try FreeAgent out, I’ll give it a few more spin before I submit my payment details. Are you in search of a suitable accounting software too? Which have you shortlisted? Any of the above you’ve tried? OR any which you think I should try too? Share your research and experience with me! 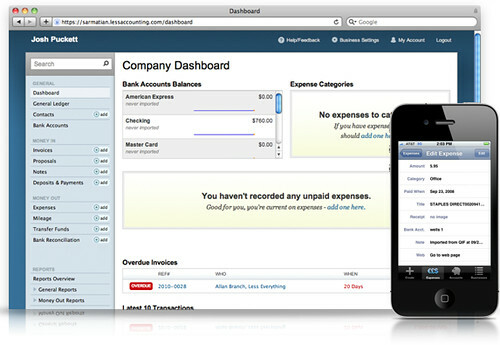 Accounting software is one important system in all businesses. So I hope all of us can benefit and get the best out of our research. Stop Dreaming and Get It Done! The comments on this post here: http://community.freeagentcentral.com/freeagent… – give a suggestion for using the simple Amex CSV style-format for bank statements. It should be possible to manipulate your CSV files to this format for importing. I'm still on spreadsheet. Haha. Moved from OpenOffice.org's to Microsoft Office and now to Numbers (iWork). I find a lot of accounting softwares not exactly to my requirements too. So best is to use a blank sheet aka spreadsheet and just make one.